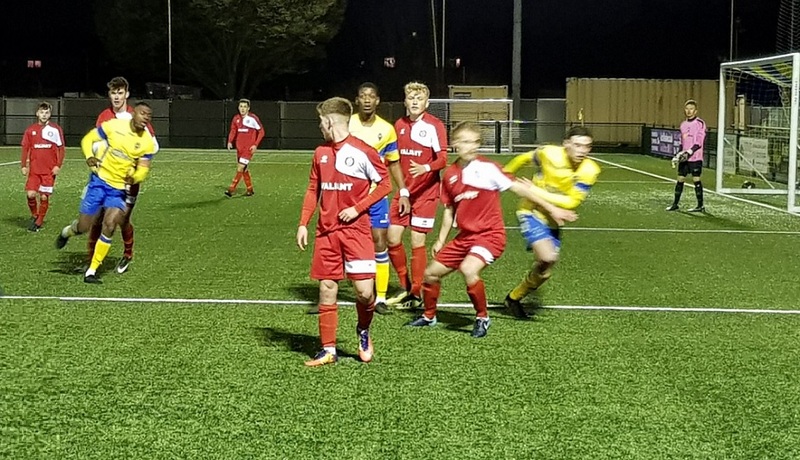 Bury Town Under 23 Development side suffered a disappointing defeat on an evening when they deserved a point for their efforts at Haringey Borough, however after competing so well all game, goals in the 85th and 90th minute from the home side gave Haringey all three points. Both sides were level on points going into the game, and the first half was very even with Bury having a couple of early chances, but they also had George Bugg to thank for making a couple of good identical saves pushing the ball out for a corner on both occasions. The second half started with Bury on the front foot and Emmanuel Machaya should have scored when he burst through one on one with the home goalkeeper, but the shot rebounded off his legs and Tanner Call put the ball over the bar. Harvey Addison had a good game in the middle of the park for Bury and was harshly booked for the first caution of the game. Bury had another good chance when he tried to score from way out on the left hand side, but his effort went just over the bar. Bury's defensive line had made a good job of catching Haringey off side throughout the game, and as the game entered the final 5 minutes it looked as though Bury were going to hold on for a useful point, however the ball fell kindly in the box and the shot was low under George Bugg to give the Boro the lead and with Bury pushing forward in the final minute of normal time to try and get something from the game, Haringey added a similar goal to the first to seal the points. Bury will have a quick chance to gain revenge for the defeat when we welcome Haringey to the Denny Bros Stadium in two weeks time on Monday 18th March, kick off 7:45pm.